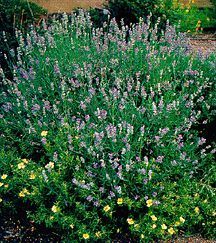 description for "Lavender: Lavandula angustifolia 'Munstead Strain'"
An old favorite, Lavender 'Munstead' is a dependable performer blooming with pleasing lavender blue flowers. The flower color is sometimes variable as is the plant size. reviews for "Lavender: Lavandula angustifolia 'Munstead Strain'"